The originality of the Historical Museum of Tracadie emanates from the fact that it is the only Canadian museum to offer a glimpse of a leprosarium colony in the 19th century. You can see pictures, a pharmacy dedicated to those health issues as well as various objects that belonged to the lepers. It also presents Mi’kmaq artifacts, religious items and period costumes. Also make sure to visit the Heritage Trail and the cemetery of the leprosy sufferers. 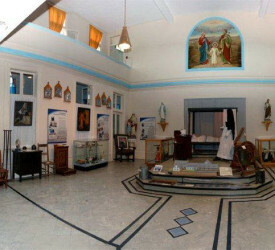 This museum is also a tribute to the work of the Religious Hospitallers of St. Joseph. The Historical Museum of Tracadie invites you to visit its exhibitions and the Heritage Footpath.